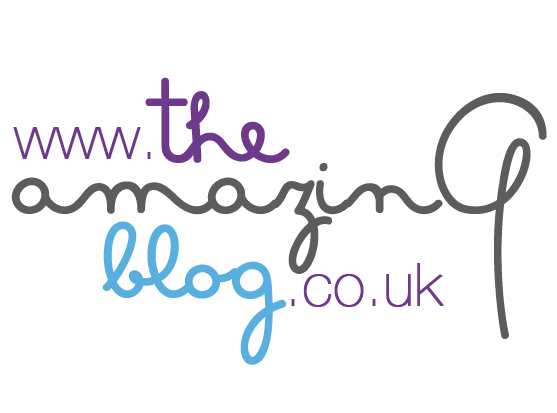 At The Amazing Blog we know that beauty is not actually skin-deep and also comes from deep within. So it is important to look after your whole body in order to feel healthier, happier and more beautiful. With this in mind we have compiled a few of our favourite health supplements that will have you feeling, looking and being the best that you can be in no time.What is more, all of these products are so easy to add to your everyday routine that soon you won’t be able to live without them. First on our list is the ever brilliant Kiki Health. We love this brand and actually featured them a few months ago in a blog post about healthy snacks. Today, however, we will be telling you about their superb supplement, called Natures Living Superfood. This product is so easy to incorporate into your daily routine and once you read more about it, we’re sure you will be as obsessed with it as we are! Designed to support your daily nutritional needs, Nature’s Living Superfood is made from 34 carefully selected ingredients, consisting of plant juices, algaes, enzymes, sea vegetables and bacterial cultures. Not only is this made of entirely natural whole food ingredients but it is absolutely full of probiotics, all of which help aid the body in absorbing the nutrients it needs for digestive support. You simply need to take ½ a teaspoon a day, which can increase to 1 teaspoon over time, and that’s it. The supplement can be added to a smoothie for an extra boost, or added to a glass of water and enjoyed by itself. We think it's a delicious addition on top of a salad. Suitable for vegans and wholly organic there is nothing we don’t love about this product. 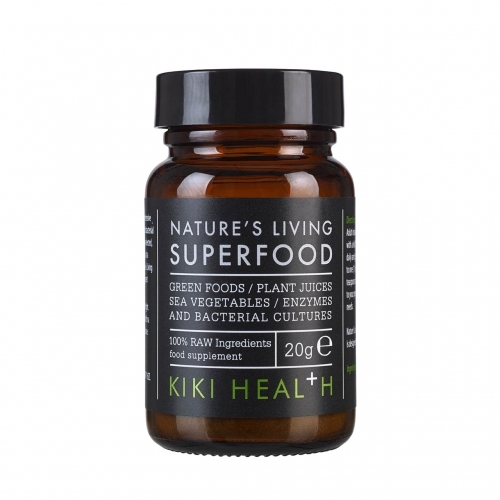 You can buy Kiki Health's Nature's Living Superfood supplement here from only £7.00. The next product to get you feeling beautiful on the inside and out comes from Terranova. Terranova has designed a wonderful Living Multinutrient Complex capsule. These capsules are a holistic innovation as the product uses whole, unadulterated, phytonutrient-rich foods and botanicals. With each ingredient having been carefully selected for its potential to fulfil particular functions the product has been designed to give you the best multipurpose protection. Terranova have come up with the idea of synergistic nutrition which, simply put, means that each supplement and blend is holistically and synergistically designed for maximum absorption capacity in the body – so you will be able to absorb more of the important nutrients your body needs to be healthy. These little capsules are perfect for those who feel tired in the day time or for those who have a tendency to catch colds. The ingredients help boost your immune system and are packed with antioxidants. All you have to do is take three a day, one with each meal, and you should begin to feel incredible effects within a few weeks. For more information, have a look at Living Nutrition's blog entry on the product - It's amazing what feremented turmeric can achieve! Lastly, but by absolutely no means least, Living Nutrition’s Turmeric capsules. Turmeric Alive is known as ‘the king of herbs’ because of its powerful medicinal properties. The main component of the herb is curcumin, and it’s this that causes the wonderful health effects that taking turmeric daily will give you. Turmeric Alive is an excellent supplement for many reasons, but particularly if you suffer from arthritis or joint problems as it acts as a powerful anti-inflammatory. It has also been shown to reduce your risk of heart and brain diseases such as Alzheimer’s. If these aren’t reasons enough to encourage you to begin taking turmeric, then you should also know that it has been shown to help the body in preventing cancer. This particular brand of supplement is truly remarkable because Living Nutrition uses fermentation to help activate the properties in their herbs. The process of fermentation helps the body absorb and digest more of the beneficial nutrients in the food. By fermenting their turmeric Living Nutrition have produced a product that not only helps the body absorb more of the turmeric, but also lets this happen in a natural way. The problem with most other turmeric supplements is that they try to unnaturally increase its effect and the digestive system and body is unable to handle this. Living Nutrition’s product on the other hand is completely safe but still has enhanced effects. If you are interested in the product and want more information, have a look at Living Nutrition's blog entry on the product - It's amazing what feremented turmeric can achieve!